KRISS KRINGLE is a brand of Somerville Nurseries, a wholesale grower and supplier. We also carry a large selection of fresh wreaths and garlands hand crafted in our office in Everett, Ontario Facility. 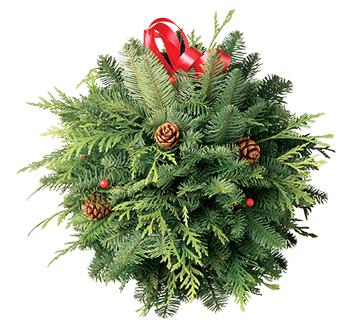 PLUS, enhancing our greens selection is a fantastic line of west coast greens from the Hiawatha Corp. Hiawatha Evergreens a leader in quality wreaths, candle rings, boughs, mixed bunches, and garlands is the largest supplier of evergreens in the world!